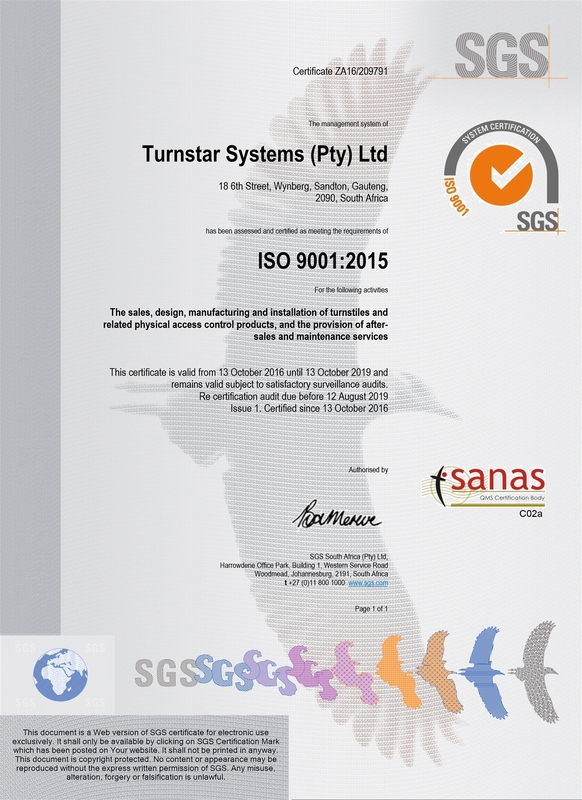 Turnstar manufactures high quality, high speed entrance products including the Speedgate Express which is designed for sub 1 second operation. 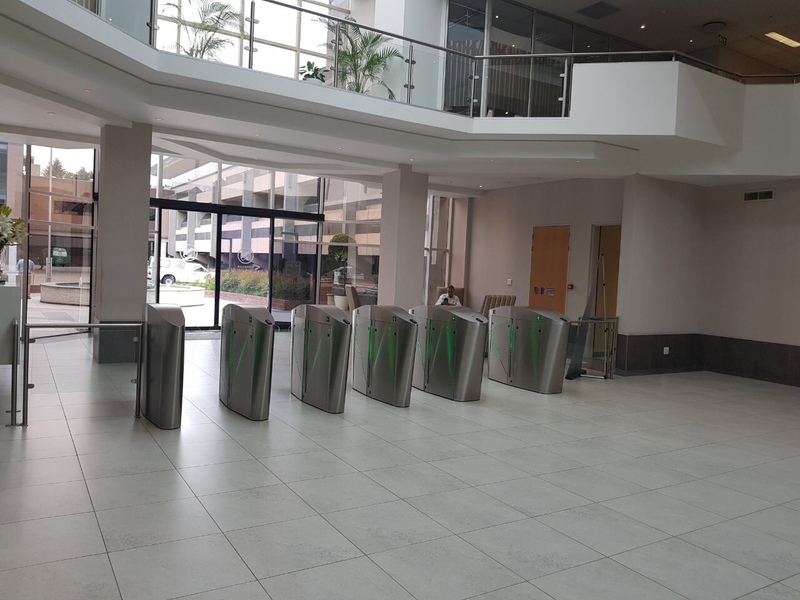 The Speedgate Express which is now the standard for South African banks, ABSA, FNB and Nedbank, can be fitted with RGB Glass illumination LEDs and with intelligent card drop boxes for visitor management access control. The Speedgate is available in multiple lane configurations and in 550, 650 and ADA 900mm wide lanes.